Snorkelling in Bohol is an experience that you shouldn't miss. It is full of colour down under. Find creatures like anthias, trigger fishers, anemone fishes, scorpion fishes, parrotfish and damsel. Yes, it is a delight to see the many soft and hard corals as well as the butterfly fishes and a community of colourful living things. 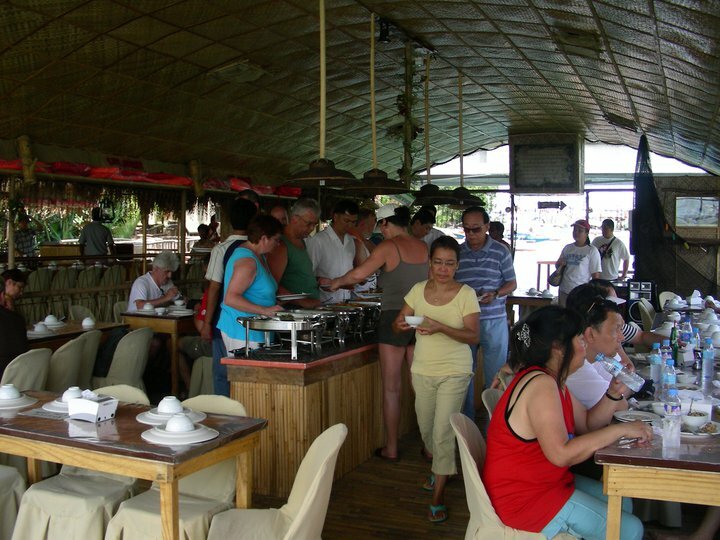 The cruise is very famous in Bohol evident with the number of guests who can't resist its appeal. 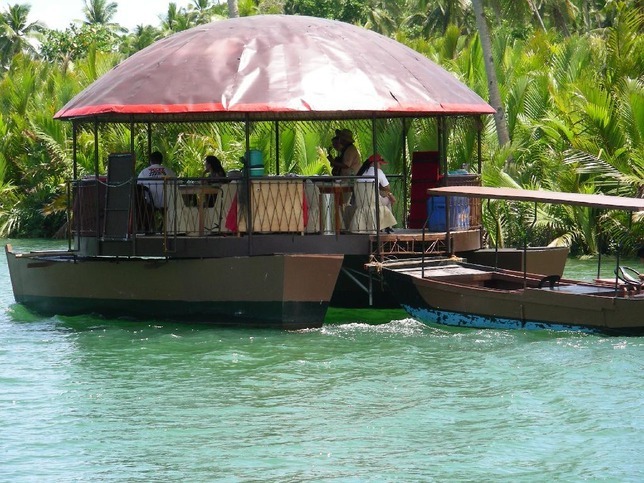 Get on board and feel the hospitality of the Boholanos as they welcome you with a short cultural show and lunch buffet meal. I had this event included in my package tour that I booked with a guide by phone and paid on the spot which is the same most agency offers. 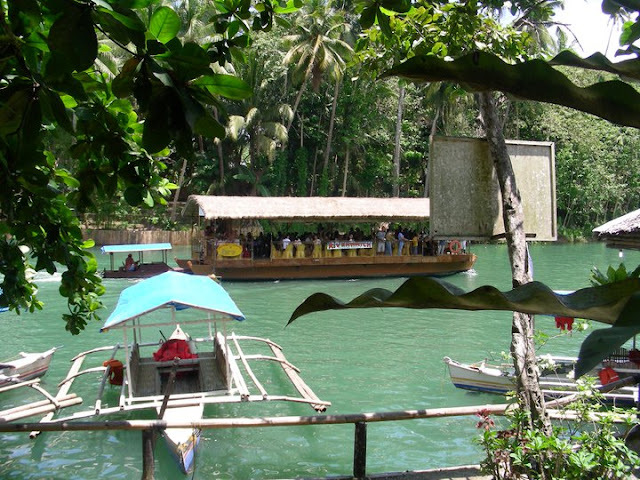 The town of Loboc is 24 kilometres away from the city of Tagbilaran. Take a bus from the city's Dao Integrated Bus Terminal and expect an hour of travel time. The palm trees at the river make you wonder how they adapt to living in salt and brackish water conditions. Kids jumping from trees to dive towards the water are sights that add to the beauty of nature. This is how Bohol looks like and I want to help you decide and choose the must-see places. Continue reading the story so that you know what to expect on your forthcoming visit. Considered the first Treaty of Friendship between the Filipinos and Spaniards. 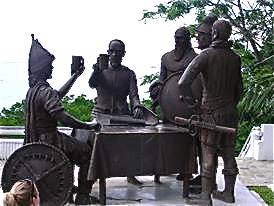 It commemorates a compact by Datu Sikatuna and Don Miguel Lopez de Legazpi on March 16, 1565. Go witness the celebration of friendship Sandugo (One Blood) Festival held annually in the month of July. You will have a chance to see this historical place. Check for trusted and knowledgeable local tour guides that will show this ancient ritual. 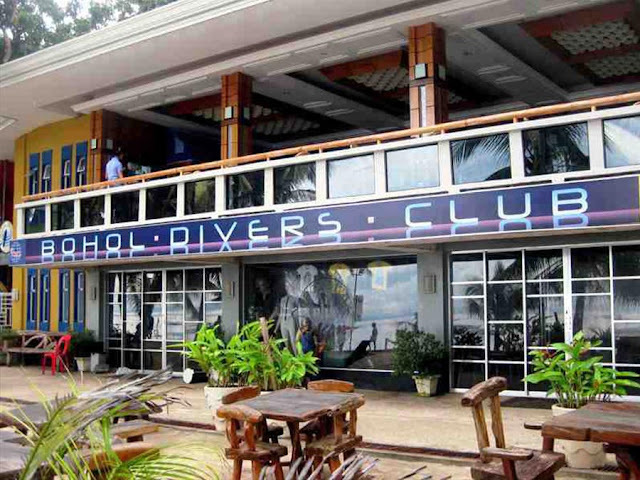 I can tell you that the Bohol Diver's Resort is huge with more than 10 types of room to choose from that can accommodate 1 to 4 persons. Unique Qualities: 2 swimming pools, a restaurant, beach bar, dive shop, and outdoor game facilities. Other amenities are also available like safety deposit box, laundry services, transfer assistance, massage services, beach volleyball, WIFI internet access and many other features that are too many to list. For room amenities and rates, you may find updated information in their website. You can arrange package rates for rooms & transfers with meals. 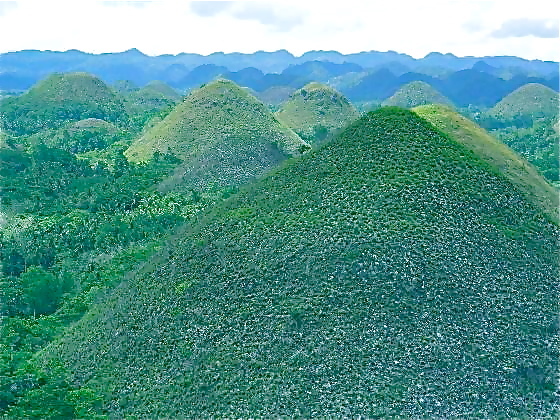 The chocolate hills is unique that made it famous in Bohol. 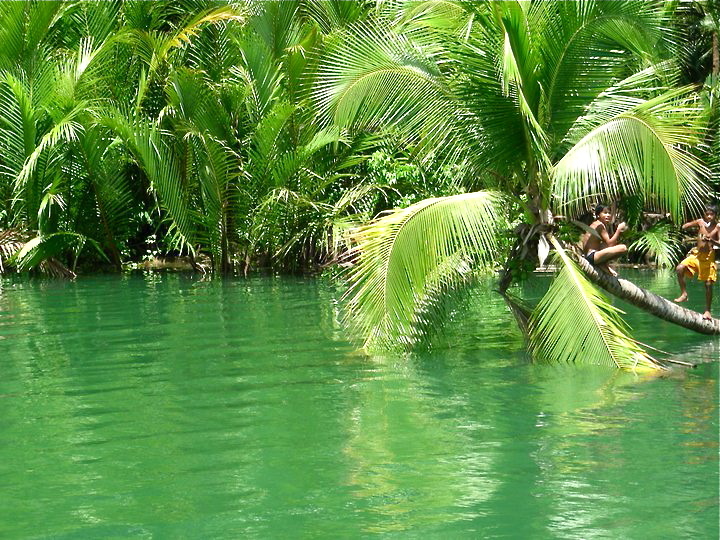 Find the hills in the town of Carmen which is approximately 55 kilometres from the city of Tagbilaran. It is composed of more than 1200 almost perfect-cone shaped hills where a couple of them were developed as resorts. I visited the chocolate hills one summer in May when the hills appeared brown like chocolates. You will experience rains from June to October and have the chance to see how it turned green. Whatever season you plan on coming to Bohol, whether it is dry or wet season, chocolate hills is, without doubt, a nature's best. If it is your first time to see the tarsier, it can be a surprise to see how small this primate is. 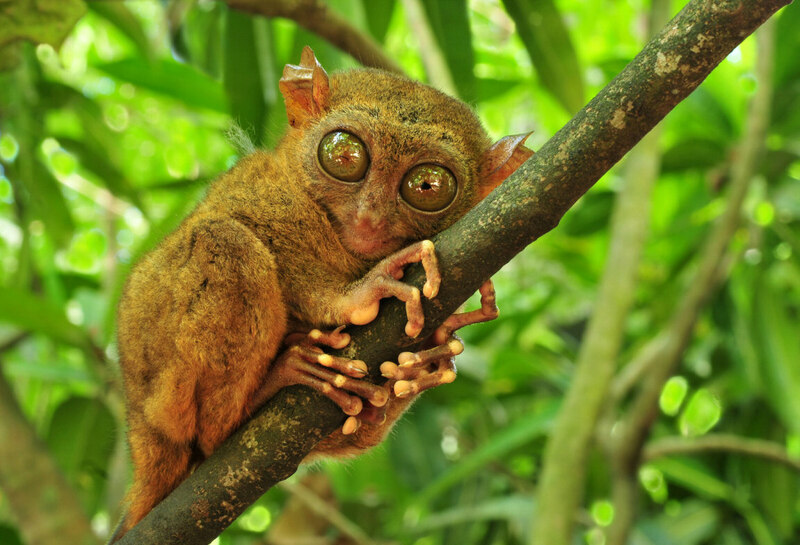 Tarsier is becoming an endangered specie due to agricultural pollutants and human disturbance. They are typically shy but looking eye to eye can be interesting as you begin to wonder. Put Cebu and Bohol in your bucket list and prepare yourself for your next trip to this destination. 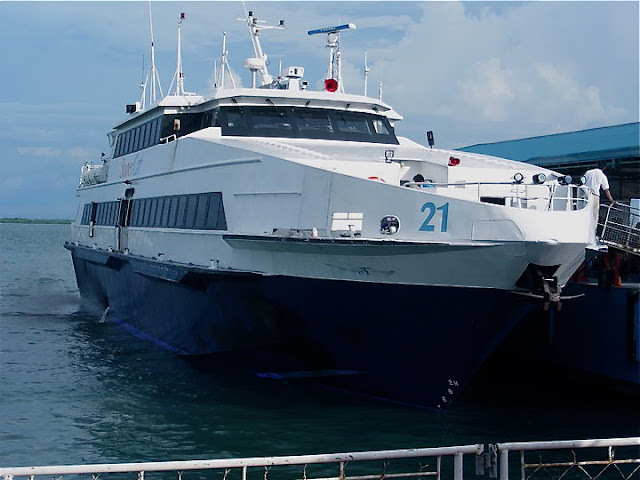 Book online with Bohol Life Tours for a tour of both.